It’s 150 years since an Oxford mathematics don published the most important work of children’s literature and one of the most influential books of all time. 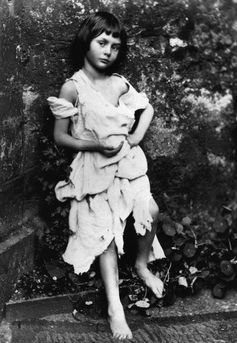 The origins of Alice’s Adventures in Wonderland in a story that Charles Dodgson told 10-year-old Alice Liddell and her two sisters while rowing along the Thames in 1862 are well known. What is less understood is why it has become such an enduring cultural touchstone across the globe. Many popular stories can be distilled to the basic structure of a male hero undertaking a quest. In 1949, Joseph Campbell described the common features of the “monomyth” or hero’s journey that are evident in stories from those of Buddha and Jesus to Luke Skywalker. Contrary to the dominance of heroic tales of men, there are several iconic narratives of pre-pubescent girls journeying through dream-like fantastic realms that have become enduring phenomena. 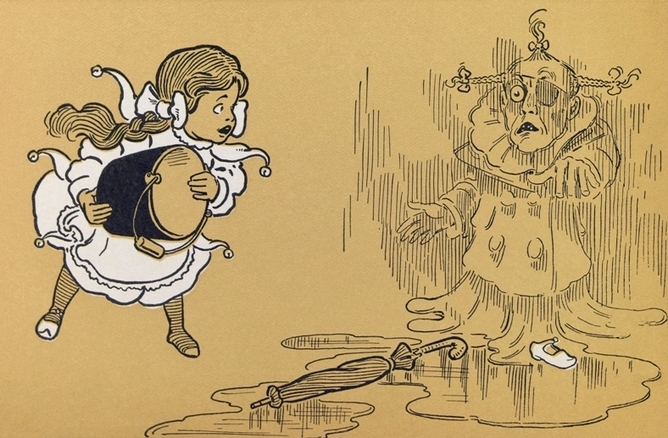 Like the ubiquitous Alice, Dorothy Gale from The Wizard of Oz has gained a life of her own beyond L. Frank Baum’s books. 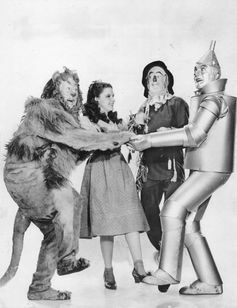 The Kansas orphan’s journey into Oz is, if anything, better known through the MGM film starring Judy Garland. The film transforms Dorothy’s journey into nothing but a dream— like Alice’s— inspired by a cyclone-induced blow to the head. The stories of Alice, Dorothy and more recent girl protagonists in popular fantasies, such as Sarah’s encounters with the Goblin King in the 1986 film Labyrinth, are strongly inflected by fairy-tale tradition. Campbell himself later acknowledged that he “had to go to the fairy tales” in order to bring any semblance of female heroism into The Hero with a Thousand Faces. As fairy tale scholar Rebecca-Anne Do Rozario explains throughout her work, fairy tales are most often about girls on the cusp of maturation and marriage. In their original book incarnations, however, both Alice and Dorothy are very young girls: Alice is just seven and Dorothy is estimated to be eight. Carroll was notoriously fascinated by pre-pubescent girls, whom he often photographed in staged poses. The young ages of Alice and Dorothy free them from involvement in a romance plot. In girls’ fiction from the early twentieth century, it was common for adventurous heroines become hastily engaged in the final pages of a novel. Even more importantly, as girls, Alice and Dorothy occupy a transitional borderland between childhood and adulthood. This also seems to make them more attuned to crossing the boundaries between fantasy and reality. Whether this capacity derives from the combination of negative assessments of children and females as less rational in comparison with adults and males, or marks girls out as more perceptive and empathetic, is debatable. What is clear is that these girl heroines take different paths to characters on the typical male hero’s journey. Even within fantastic literature, where anything is possible, there are clear gendered distinctions for protagonists. As my Deakin colleague Lenise Prater pointed out to me in an important scholarly dialogue on this topic (a Facebook chat thread), female hero quests in fantasy tend to encompass an internal quest that takes place in a dreamscape. In contrast, male heroes enter into literal fantasy worlds; their adventures are supposed to be “real” with the space of the story. The dreamy adventures of Alice work through or play with some of her waking interests and anxieties. As in Carroll’s text, Tim Burton’s film adaptation explicitly signals that Wonderland is a purely imaginary place. Alice suffers from nightmares about Wonderland as a child, and her father reminds her that dreams cannot harm her and she can “always wake up”. As lone questers, girl characters are the most vulnerable and physically weak. Despite their powerlessness in conventional respects, heroines such as Alice and Dorothy are able to survive the dangers posed by people and supernatural beings who possess advantages that are not available to them (adult authority and magic chief among them). The lives of both Alice and Dorothy beyond their original books by Carroll and Baum suggest a cultural investment in stories about the most vulnerable of people. Alice and Dorothy experience the most amazing of journeys, in which they triumph over the highest forms of authority and power, from queens to witches. It is reassuring that these stories about girls, who are often overlooked because of their age and gender, are almost universally known. Nevertheless, imagine the possibilities if our most iconic girl characters did not always have to “wake up” at the end of their adventures. Michelle Smith will be chairing the Making Public Histories seminar on “Melbourne’s Alice” at the State Library of Victoria on 26 November 2015.